A stand alone ebook short story: a body in a barrel and a pub full of witnesses who won’t talk adds up to the perfect introduction to the DS McAvoy series. Fire of Lies takes place between books 5 and 6 in the DS McAvoy series, Dead Pretty and Cruel Mercy. Eight months ago, there was a body in the barrel. Now there’s just a mess. DS Aector McAvoy’s latest case is proving a hard one to crack. 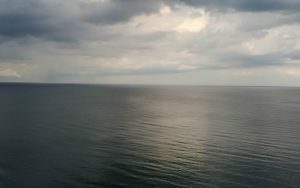 Back in November, Paul Rouse was shot, welded into a beer barrel and sent floating down the Humber. The barrel’s been traced to riverside pub The Trawl. It’s the kind of place where the locals have plenty of secrets to keep. None of them are talking. To anyone else, the case would be a dead end. Fire of Lies introduces gentle giant McAvoy, his fierce boss Trish, and characters you’d only ever meet in a David Mark novel. It’s Hullishly good. 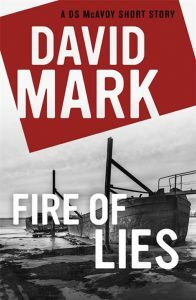 Fire of Lies is available as an eBook.